1 We are interacting with AI on a regular basis already! 2 What is AI doing right now? 4 What’s the raging fear? We are living in an era where fancy sounding words like “automation anxiety” are sublimating work-related challenges we are constantly facing. We are talking about 2017 where people are scared to lose their jobs to automation. The reality is not far away from AI inspired movies, where robots are doing everything from complicated surgeries to making new robots. Automation is gutting manufacturing jobs in Japan and the US at an alarming degree. While experts argue that it is great for the economy, a question remains – are robots fit to do human jobs? Google has already introduced a new AI that is “able to create knowledge.” The recent update states that the AI is watching binge watching videos on YouTube to learn all about human behavior. 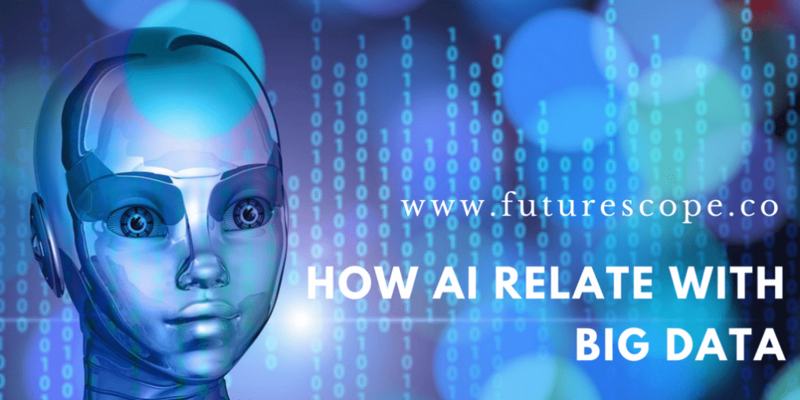 In a world, where each human action churns out significant amounts of big data, a robot that can mimic human beings decision-making process is not a distant future – it is a reality! We are interacting with AI on a regular basis already! Robots are going to be much better at making decisions, predicting outcomes and analyzing situations. Their “intellect” is wired to utilize all available data from available databases. The enormous amounts of data in these databases make it possible for any Artificial Intelligence system to observe, analyze, learn and execute their tasks with near perfection. These are not the robots that can just tie shoelaces and do banal tricks. These are your self-learning, software-driven and self-correcting systems that have the power to replace human labor in every primary sector. A very common example is the Chatbots most client service websites now use to address their clients’ concerns. Earlier client service executives used to perform the same task. It was time-consuming and quite iterative. As soon as Chatbots took over the task, the process became almost instantaneous, much smoother and presented a whole new world of customer assistance programs for the websites. Instead of just popping up when the customers have a question, now these bots can help customers find the products they are looking for and help them with discounts, payments, and checkout in real-time. This is possible because of the immense impact of machine learning that allows the AI to understand respective customer behavior and respond accordingly. What is AI doing right now? Many website masters and database experts are now exploring AI options that can collect data from customer interactions on the website. For example – when a customer registers or logs into a website, they generate a massive amount of data. What the customer does immediately after logging in can determine significant apexes of customer behavior. If an AI can observe and understand the implications of successive consumer actions, it can easily prompt helpful and relevant information to the customers involved in the process. This calls for a strong database and an experienced team of DBAs who can update data on a regular basis. For most companies, remote DBA teams are more feasible options due to budget constraints. RemoteDBA.com can provide optimal database support for any website interest in staying ahead of their competitors. This seems rather restrictive at the moment. Chatbots and AI only handle simple customer technologies to offer a better user experience (UX) to all website users on a shopping site. Machine learning is steadily advancing towards a point where more tasks like customer surveying and customer handling will go to AI and bots, instead of human customer-care agents. AIs are on their way to take up more complex tasks including designing of more robots and supercomputers without human intervention. Most of us are apprehensive about automation becoming autonomous. While the leading concern is the lack of the “human factor” in AI decision making, experts opine that the very lack allows these robots to make more informed and pragmatic decisions. In truth, we are designing solutions and products for our convenience using available technology right now. Very soon, this technology and its products will design the solution for us, without our help. This kind of a revolution is never possible without enough data or big data. Big data and the analytics of the same makes it possible for Artificial Intelligence to learn about our behavior patterns, our needs and our decision making processes. Since prescriptive analysis remains a huge part of the entire predictive process, we can easily term big data as the lifeblood of the AI movement. Big data is the future of technology. The development of AI is a positive feedback process, where better solutions come up with better technology and better technology forges the way for better solutions. We are simply waiting for a day when AI can create new AI, as a part of a mundane, everyday chore.